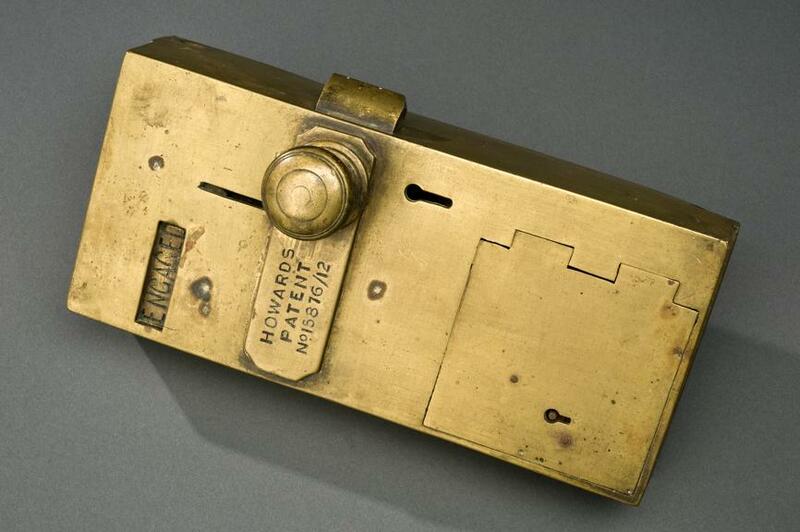 Coin operated lavatory door lock, stamped 'Howard's Patent 15876/12', with 'engaged ' and 'vacant' display window and slot for penny (1d) coins, c.1890-1930. 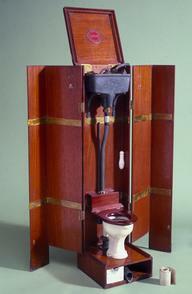 The first public toilet in Britain was opened in Fleet Street, London in 1852, at a time when urinating in the street – and worse – was commonplace. Public toilets were maintained and had to be paid for, which restricted the range of citizens who were likely to use them. Coin operated door locks similar to this brass one would have been a familiar sight to those venturing into the toilets, which were very often built below street level. To lock the door and turn the sign from vacant to engaged, the user had to insert a 1d (one penny) coin into the slot. 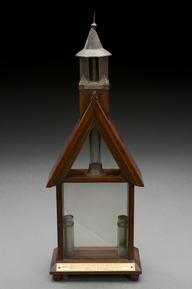 This is where the expression ‘to spend a penny’ originated.